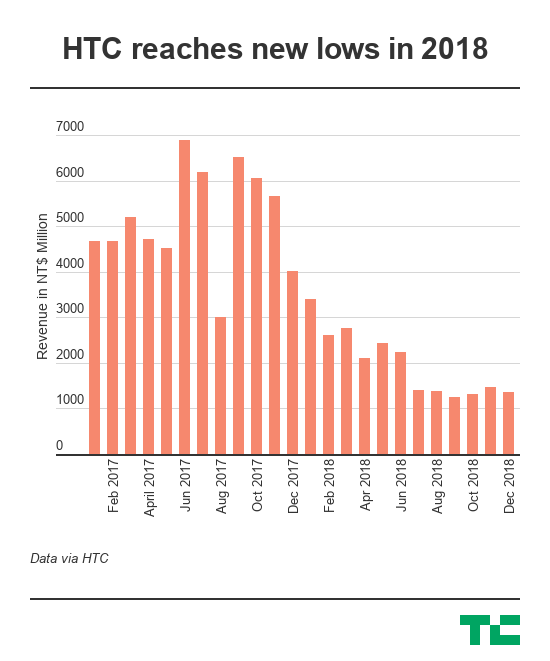 That figure represents a massive 62 percent drop on HTC’s paltry revenue for 2017 — 62.12 billion TWD, around $2 billion — which was its poorest year since 2005. We don’t yet know the total loss for 2018, but its three previous quarterly reports combined amount to a total operating loss of 11.13 billion TWD, $361 million, with one more quarter to add. 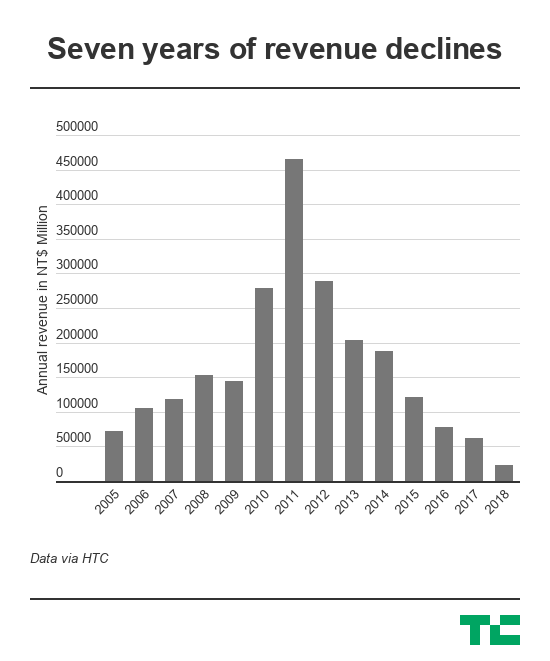 HTC’s 2018 total was so bad that it actually made more money during just one single month a few years ago. Its total revenue during May 2013, back when phones like the One M7, One Mini and One Max made it one of the best smartphone companies on the planet, came in at 29 billion TWD. The decision to sell a large chunk of the smartphone business to Google one year ago was the icing on the cake served at HTC’s smartphone wake. Yes, the company did announce the U12+ — with a squeezable side — in May and it is working on a blockchain phone that we kind of got a look at during our Shenzhen event last year, but these are peripheral plays that are tucked well away from where the mainstream players are dueling, a place where HTC used to be. Even VR, trumpeted as HTC’s great area of hope, is a long-term play.